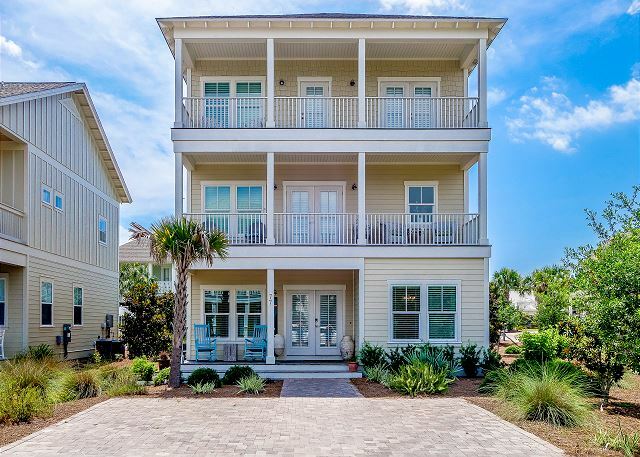 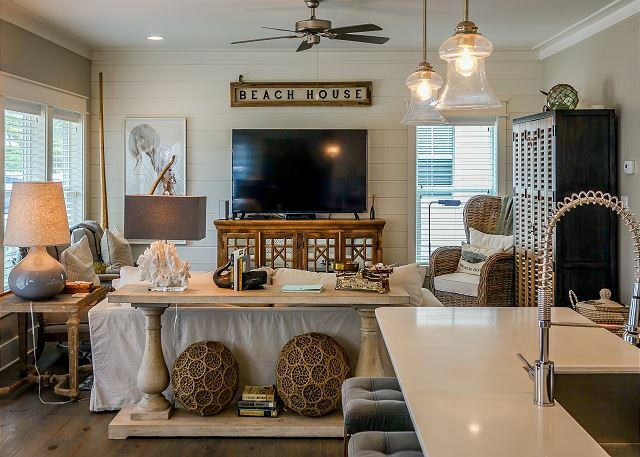 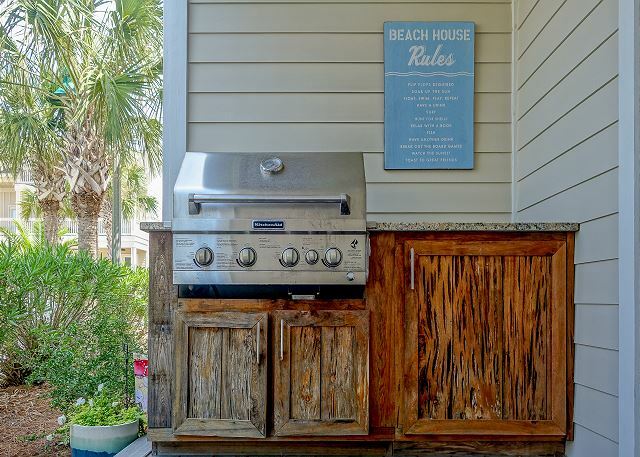 “Beach House Bliss” is a beautiful 4 bed/4 bath vacation home, sleeping up to 12 guests in the highly sought-after Magnolia Dunes Community with views of the Gulf of Mexico! 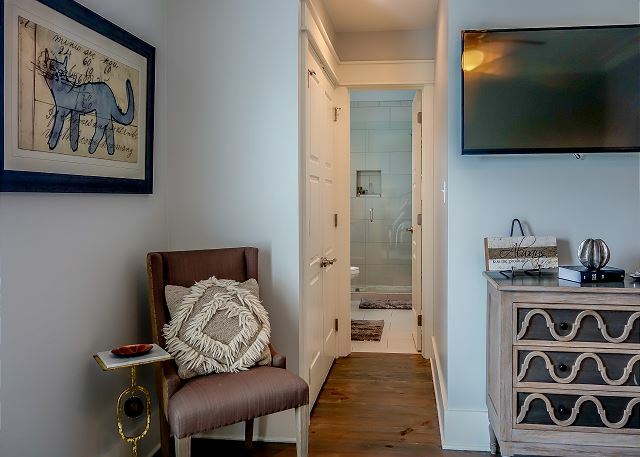 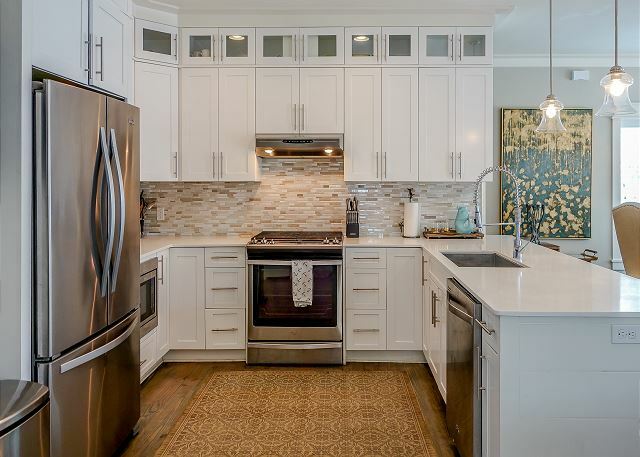 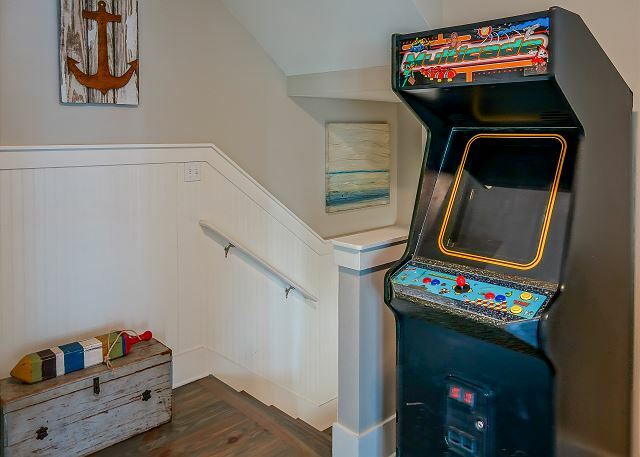 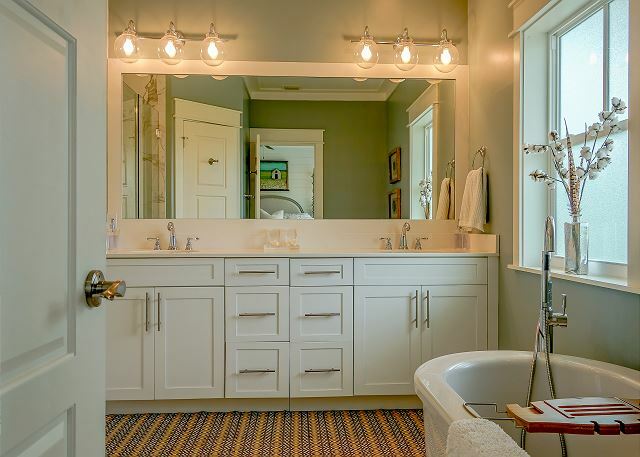 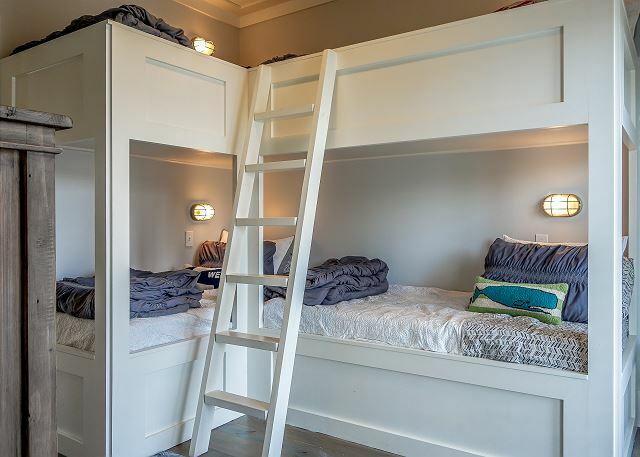 This home is a wonderful, family-friendly, professionally designed vacation rental that includes an arcade and fantastic finishes throughout! 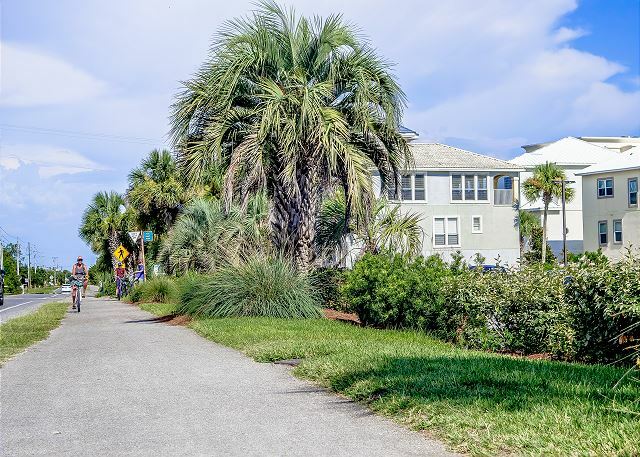 Located a short 250 yards from the gorgeous, white-sanded beaches, “Beach House Bliss” is less than a 5 minute walk to the beach and mere steps to the community pool! 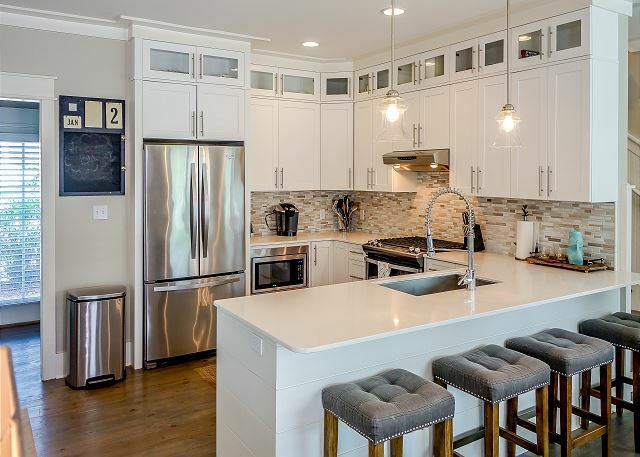 When you first walk into the home, you are welcomed by a large, open-concept living, dining, and kitchen area that provides the perfect place to entertain, relax and enjoy time with loved ones. 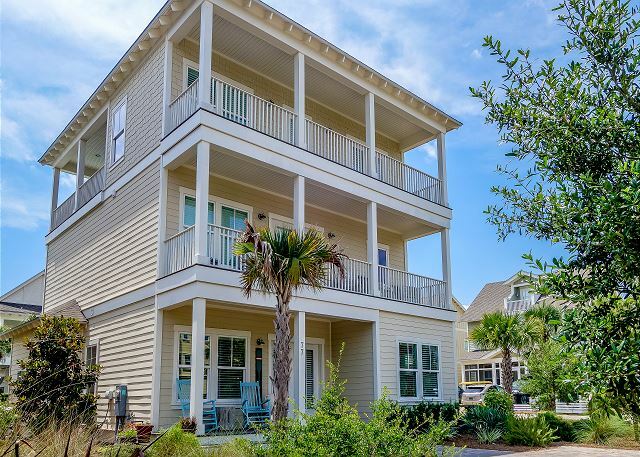 There are two outdoor entertaining areas - the first floor porch with commercial gas grill that uses the direct gas from the house so you never run out of propane and an expansive 3rd floor balcony with seating for 8. 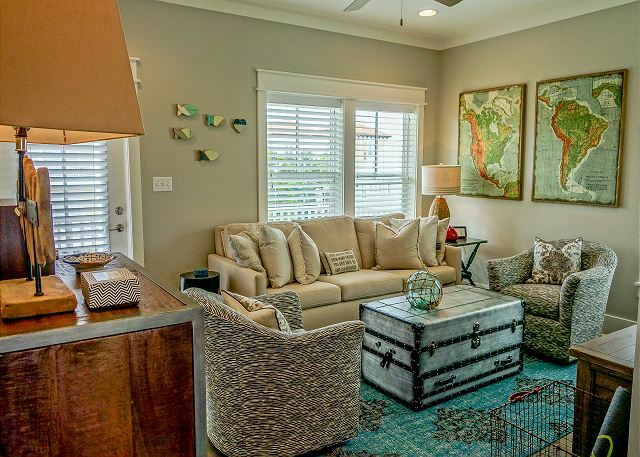 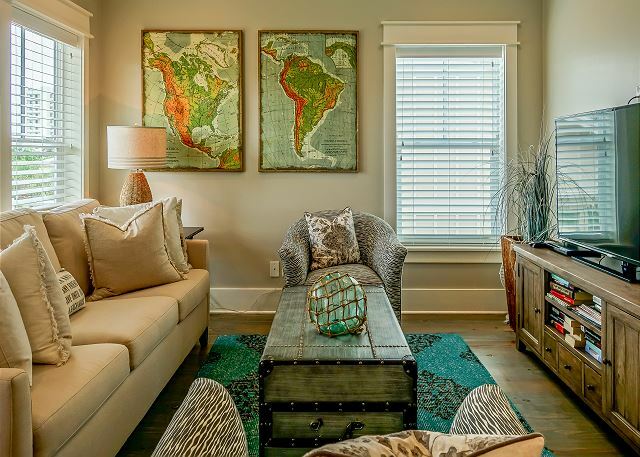 Your group can spread out indoors, too, between the first level living room and the third floor den. 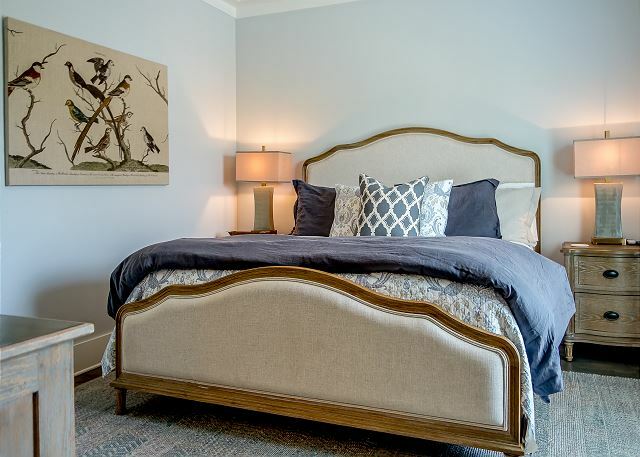 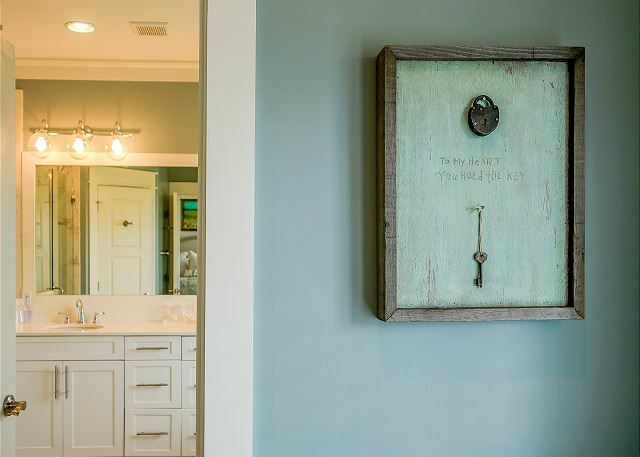 The art and decor in this home, thoughtfully chosen, adds a luxurious yet whimsical air to every single room. 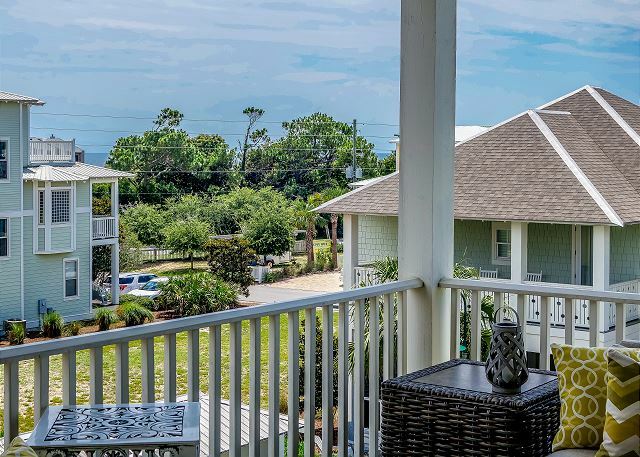 A perfect location for a wide range of events including couples retreats, family gatherings, holidays, vacation reunions, church outings, or even friend or high school reunions. 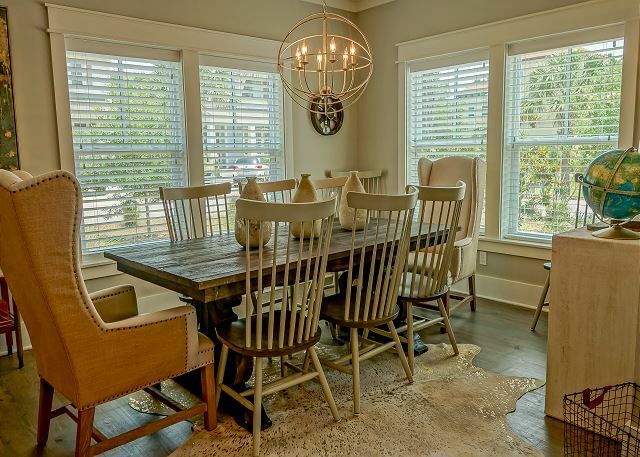 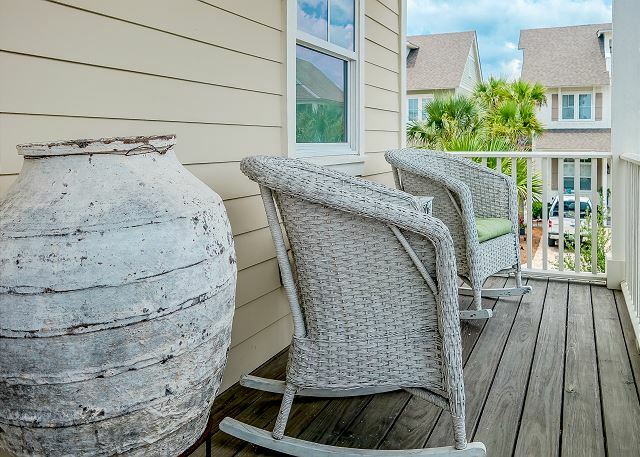 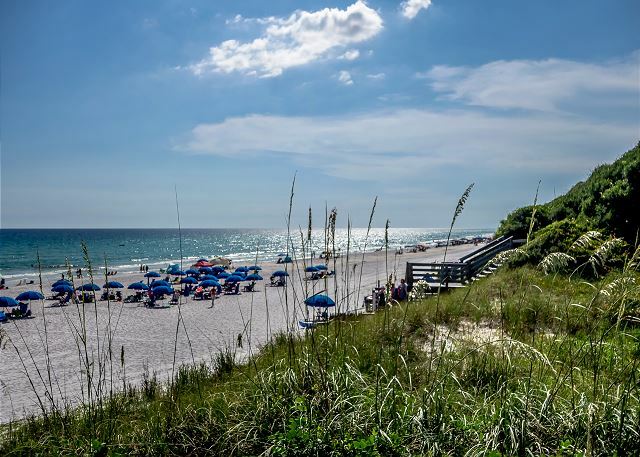 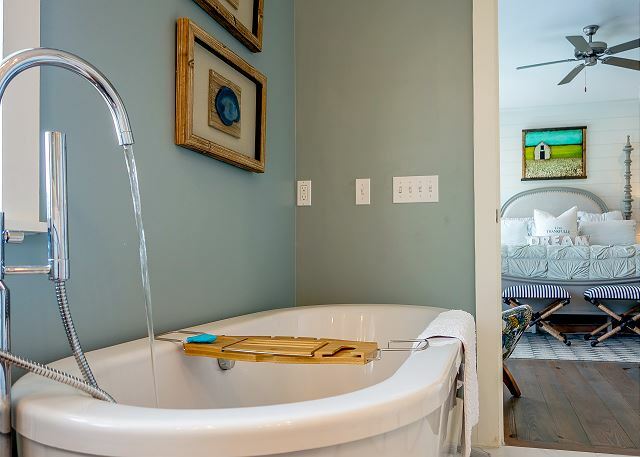 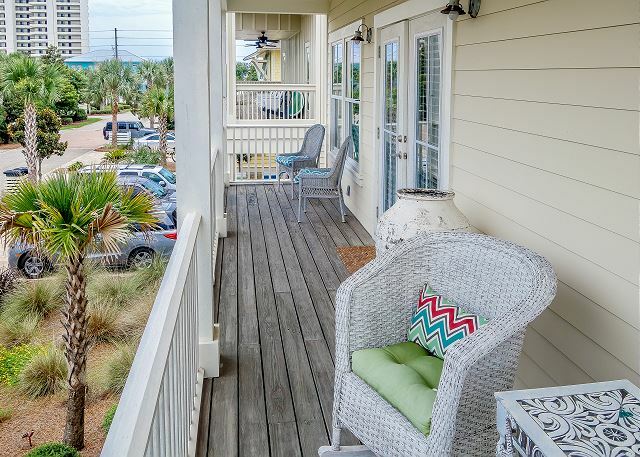 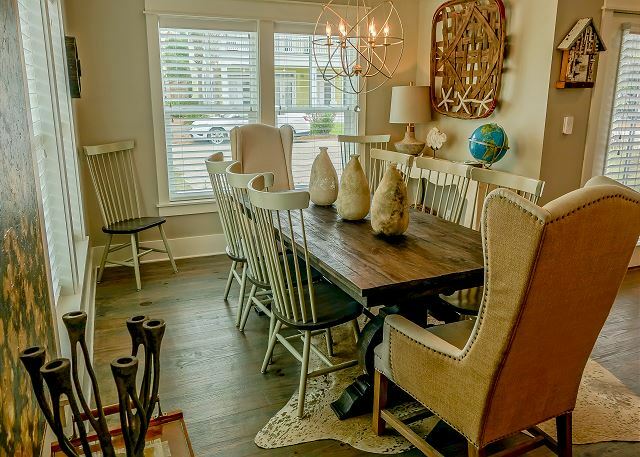 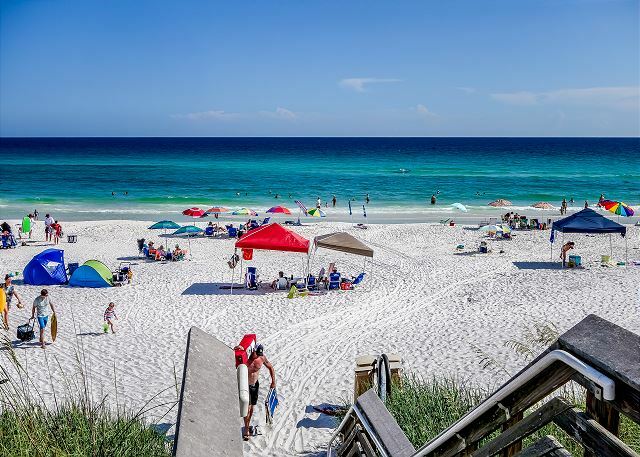 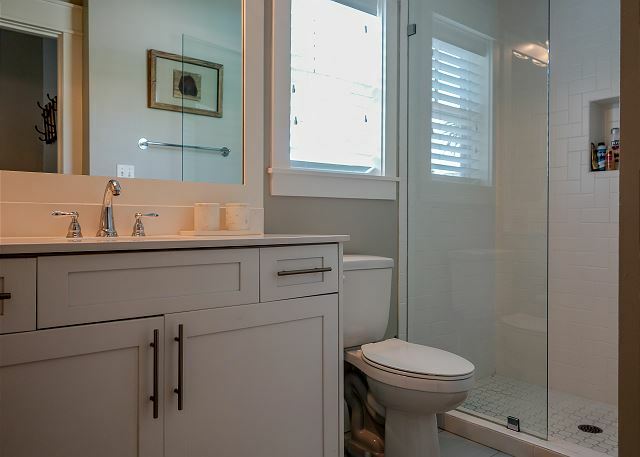 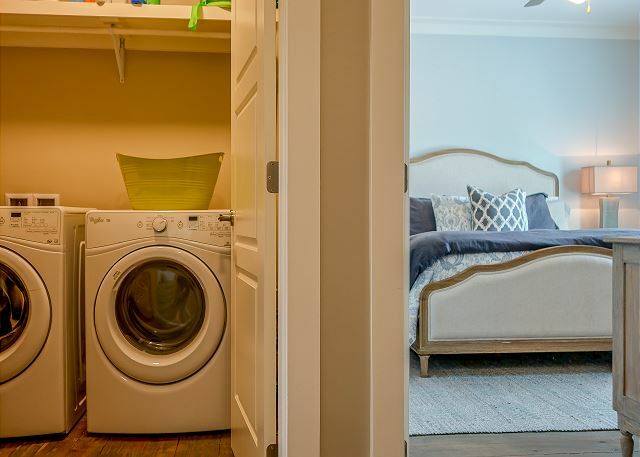 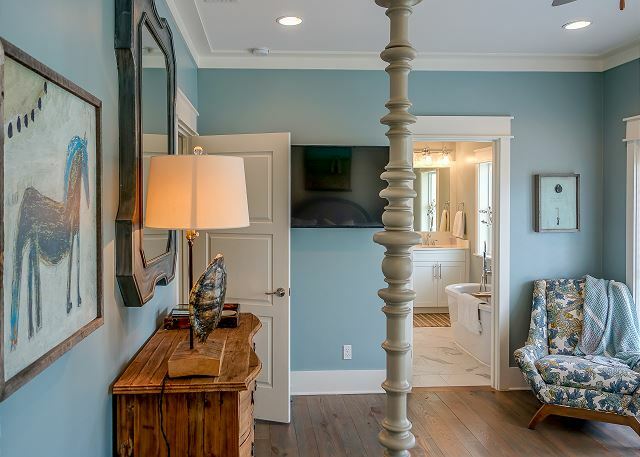 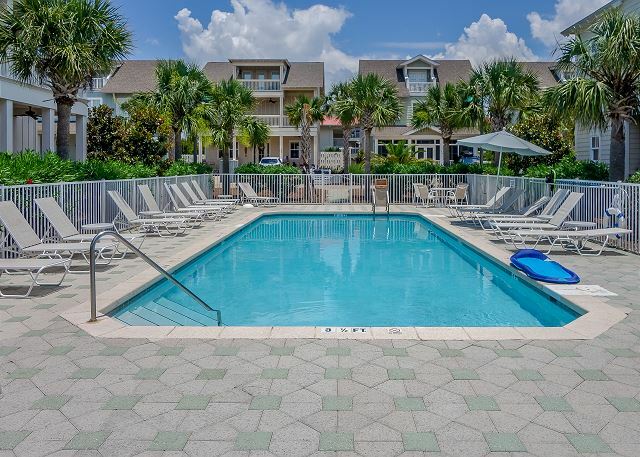 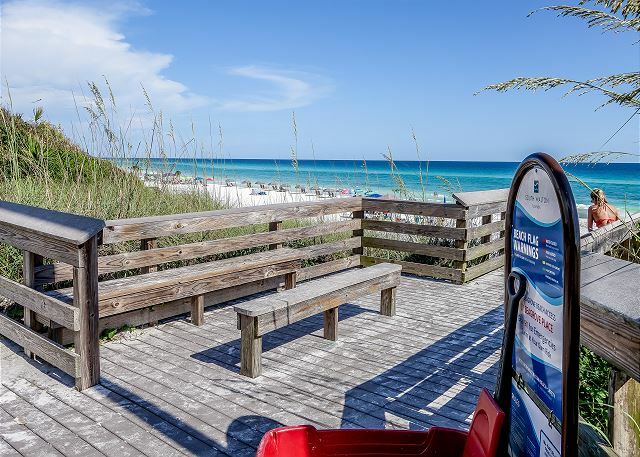 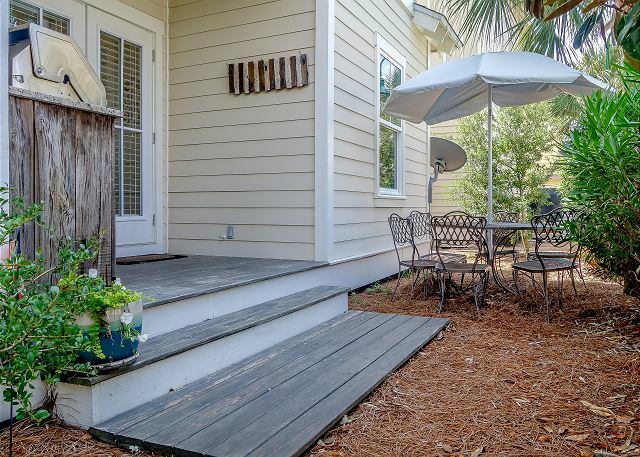 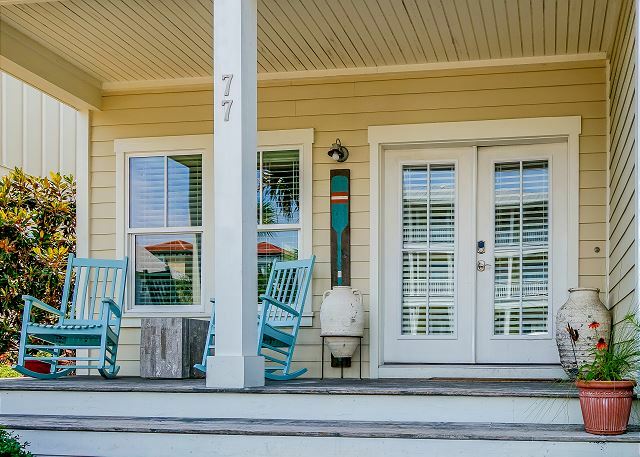 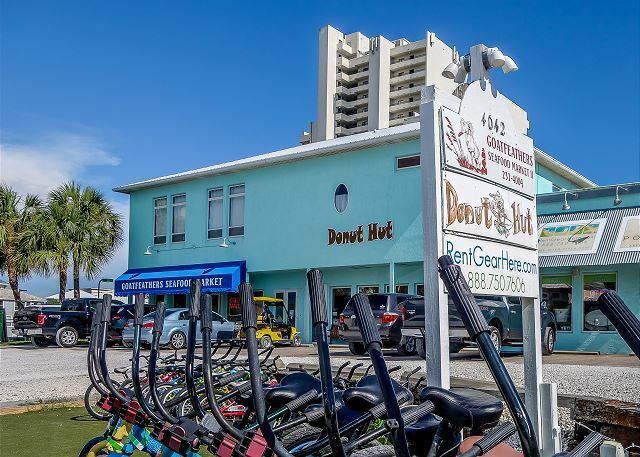 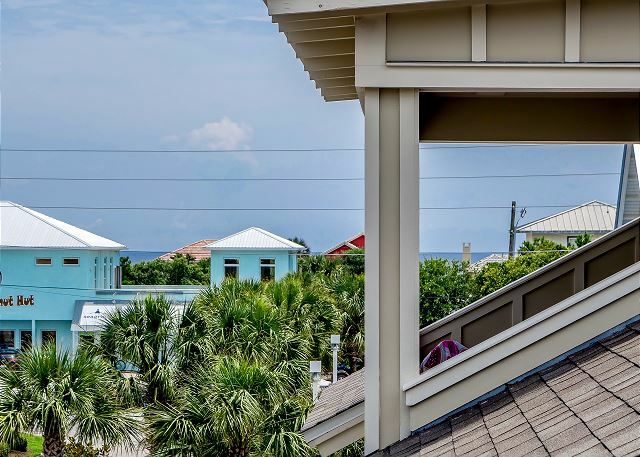 With only a few steps separating you from the 30A bike path, the whole family is sure to enjoy the 18+ miles that stretches from Rosemary Beach to Dune Allen! 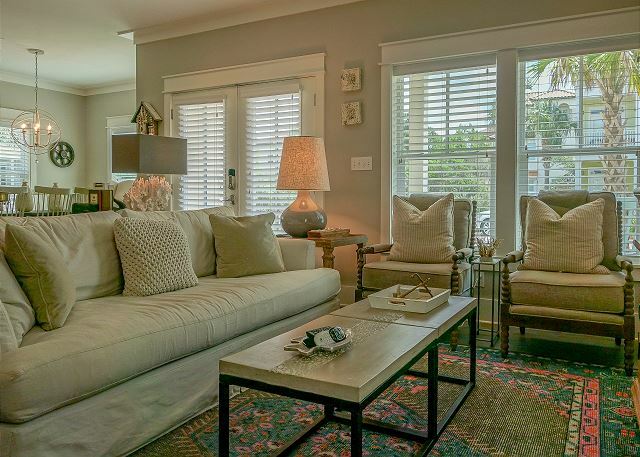 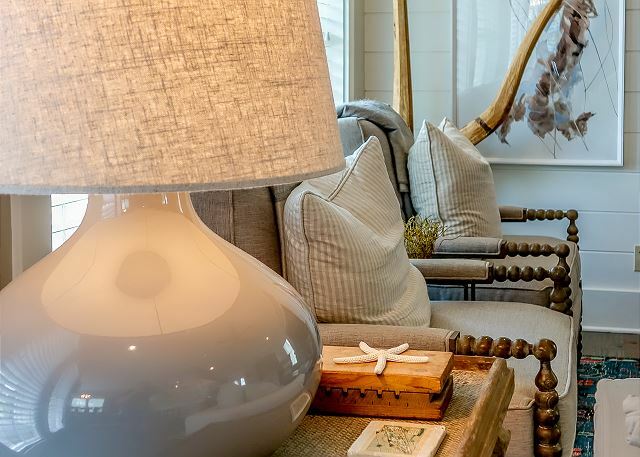 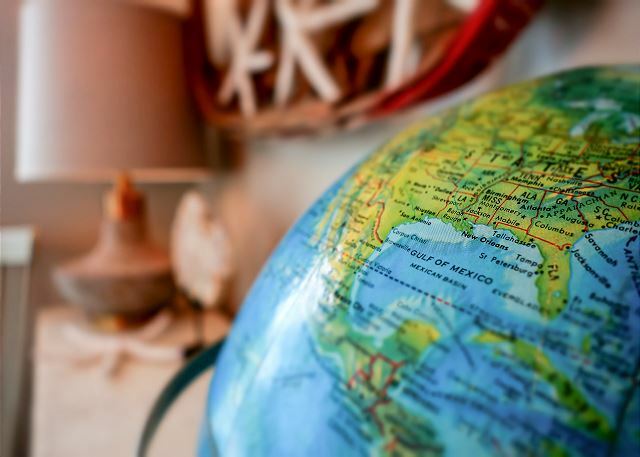 And if you’re interested in boutique shopping or first-class dining, you will find no shortage of that along 30A! 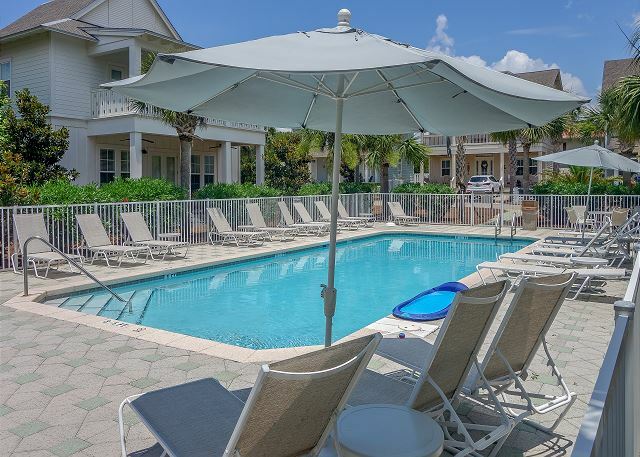 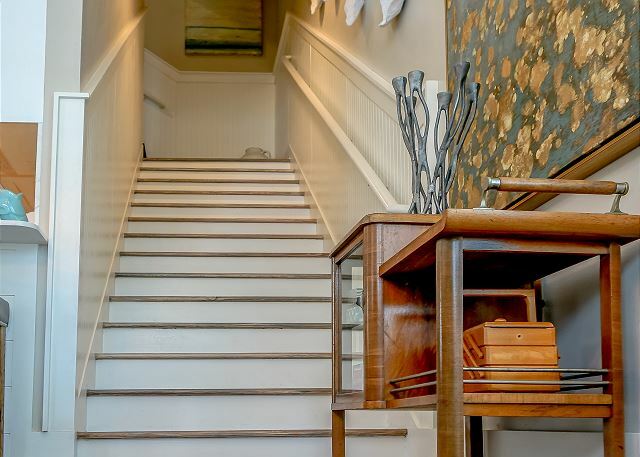 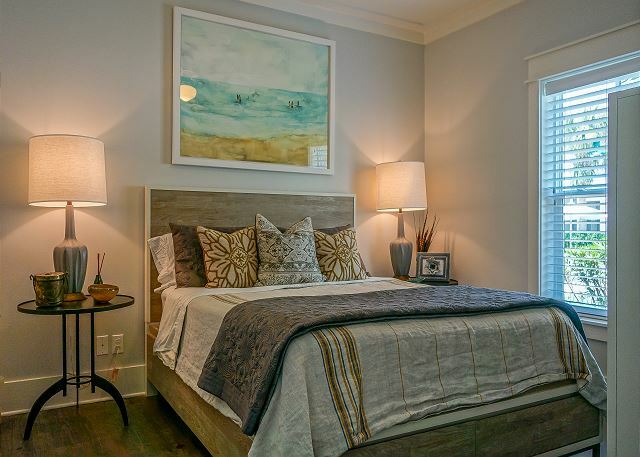 All around, you will see an abundance of magnificent shops, restaurants, and activities all within walking distance, or a short drive to any of the surrounding communities. 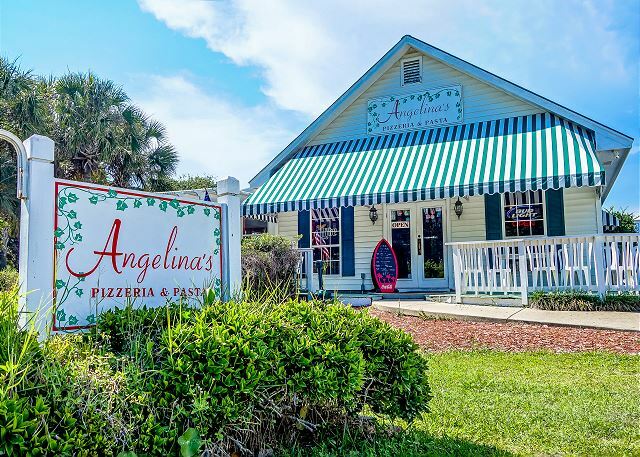 Neighboring restaurants include Café 30A, Angelina’s Pizzeria & Pasta, the Donut Hut, Goatfeathers Seafood Market, and more. 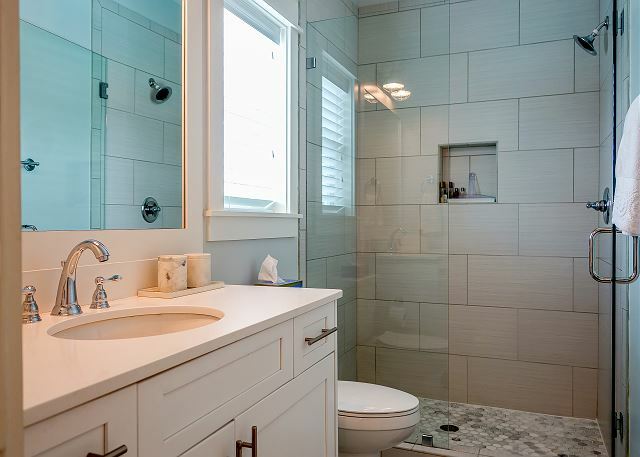 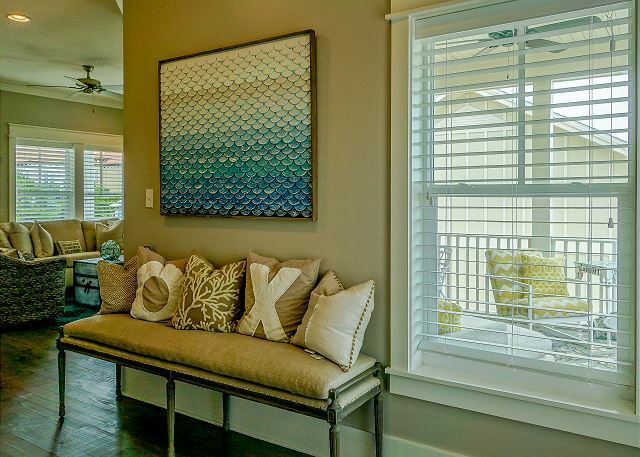 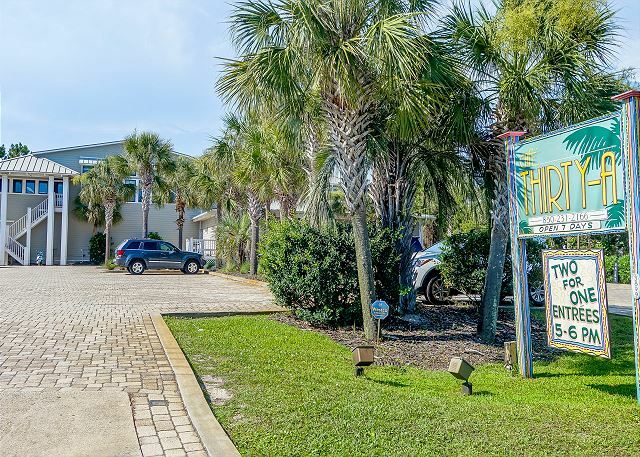 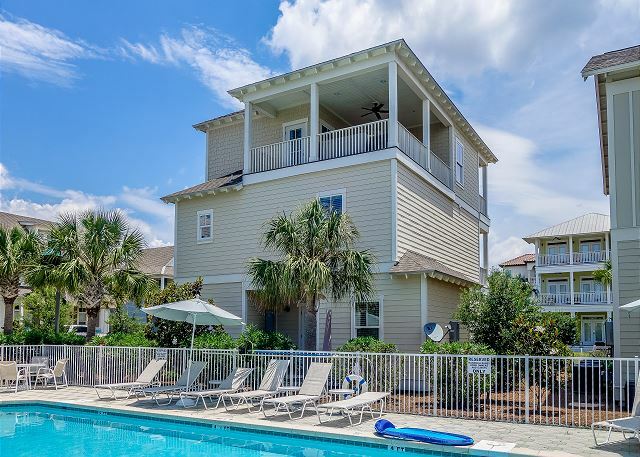 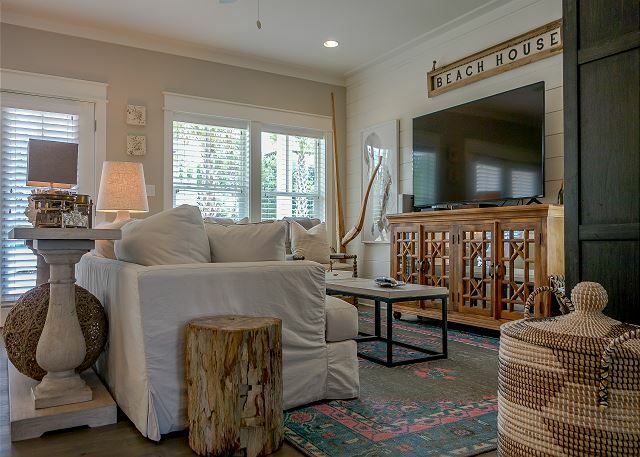 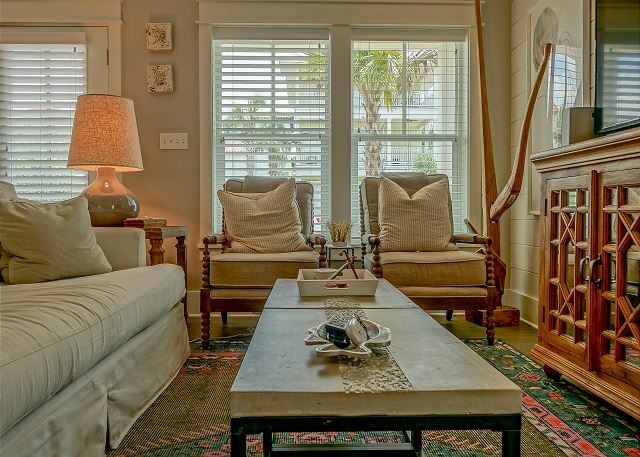 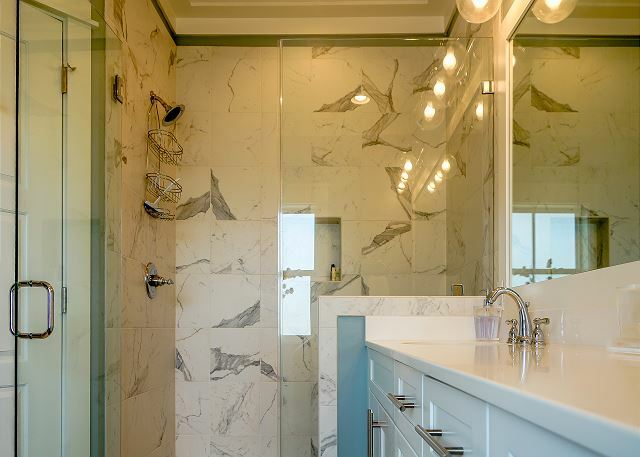 Located in close proximity to the town of Seaside, “Beach House Bliss” is sure to be the perfect spot for your next trip! 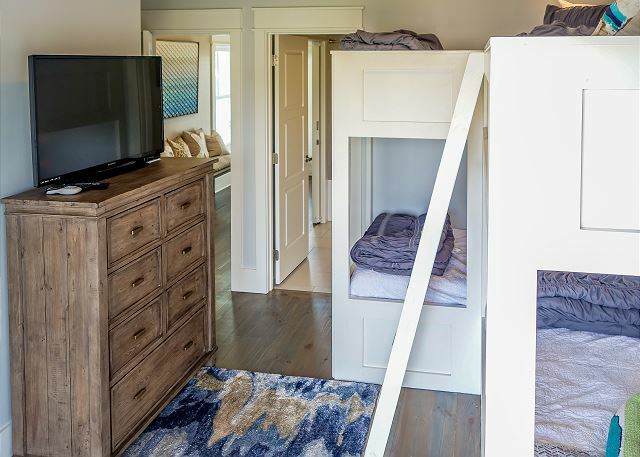 Loft Living area w/ Large Sofa with American Leather Queen Plus Pullout Bed, the sleeper is the top of the line sleeper with a Gel Mattress. 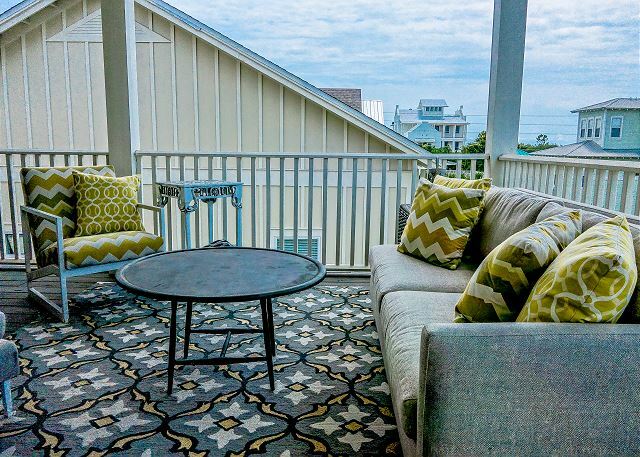 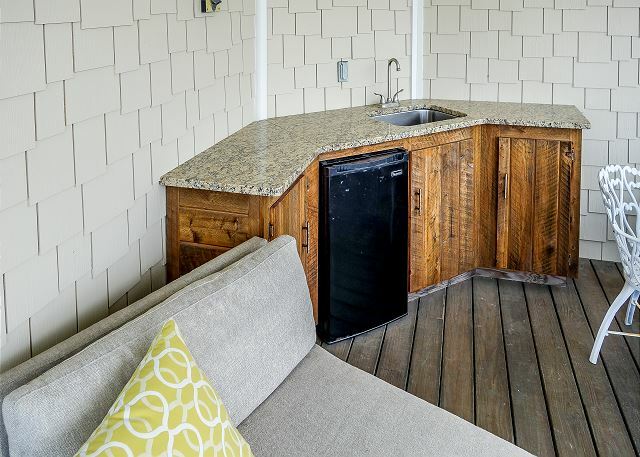 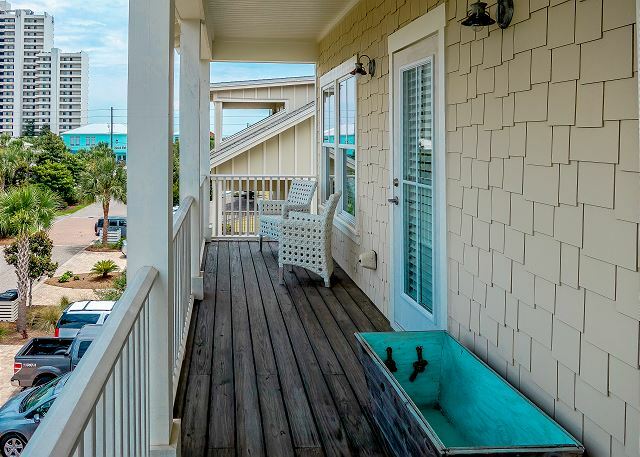 Spacious outdoor balcony patio with sink and mini fridge; seating for 8+ with views of the Gulf.